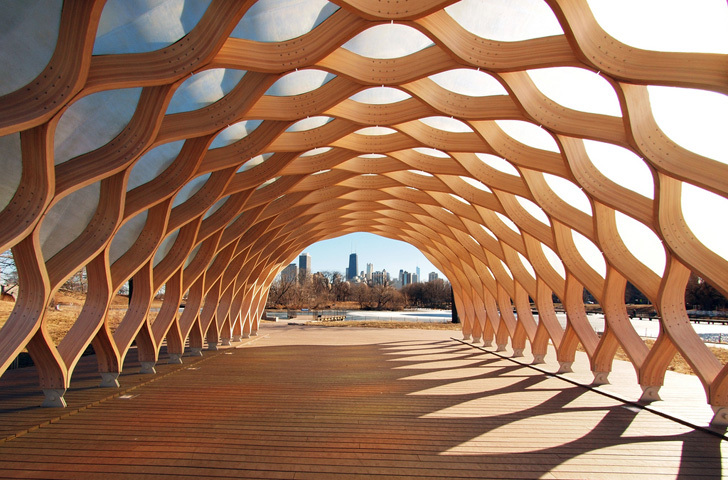 Studio Gang Architects‘ design for the South Pond Pavilion was inspired by the tortoise shell. 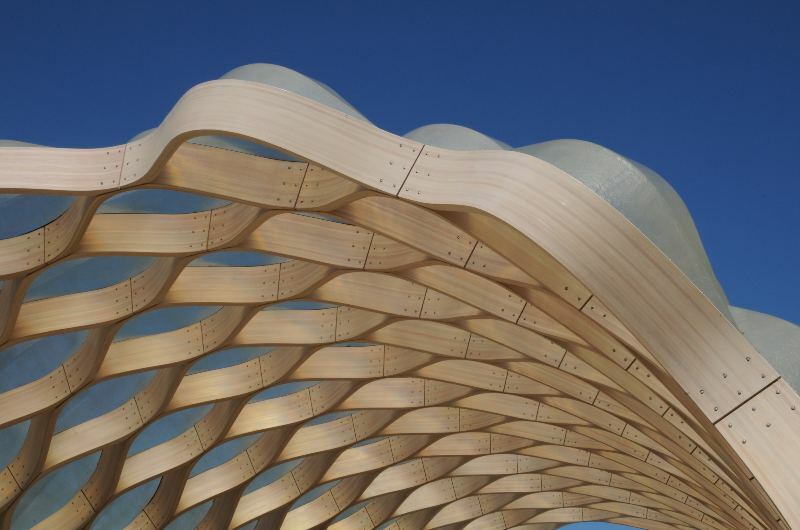 It features pre-fabricated wooden planks that have been interconnected and milled to form the curving structural members. The top of the pavilion is covered semi-transparent fiberglass pods, which let light filter in while still protecting those underneath. Yoga classes and other educational programs use the pavilion regularly. The pavilion is part of a larger redevelopment of the pond at the Lincoln Park Zoo designed by Studio Gang. Their project largely consists of rehabilitating a dilapidated, 19th century urban park pond fed by city tap water into an exhibit on pond life. The depth of the pond was increased to improve oxygenation for aquatic life, and a wetland was engineered along the water’s edge with new plantings and drainage to encourage new wildlife and vegetation. A boardwalk made from recycled plastic now circles the pond and includes educational kiosks.